Tag Archives for " YouTube Cards "
Cards are all the rage in digital circles it seems, so YouTube has jumped on the bandwagon adding a cards feature as a way of creating greater interaction. Think of cards as ways to add information to another piece of information. For example, Twitter Cards allow you to add a video to a tweet and WordPress supports plugins that allow you to add cards to widgets and sidebars so that information supporting other information comes to life. 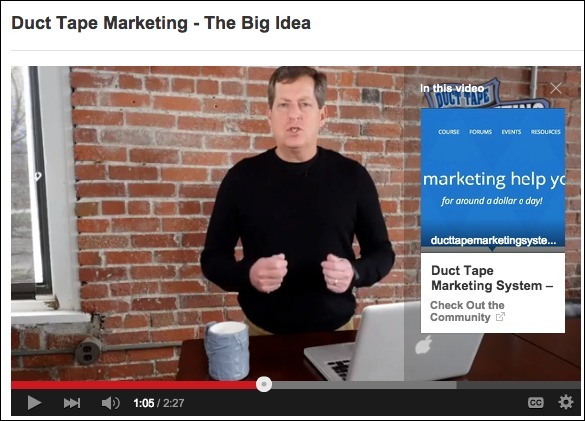 With YouTube’s version of cards, you can embed a call to action that urges the viewer to click for more info. It’s kind of annotations, but in my opinion a lot more engaging. 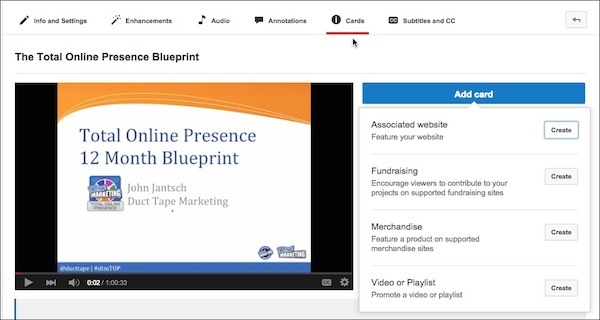 You can create card types for merchandise, fundraising, video, playlist, associated website and fan funding. To add cards to your video open the video and click on the i circle icon and choose to add a type of card at the appropriate place in the video. There are other tools that allow you to add overlays and other calls to action but native YouTube features just seem to make sense to me. You can check out the help topics on Google Cards here.